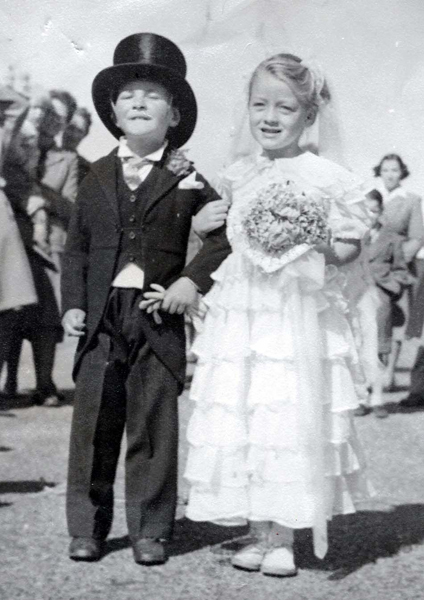 Me and Joan Dryden, prize winners at the Fancy Dress parade in 1950. I hated having to wear this outfit! It was hired! Poor Joan and myself were early examples of kids being given an unfair parental advantage over those who could only afford to make their own outfit. We won a prize and I still feel the guilt! Nice one Bill! Never saw this one before, certainly wasn't aware of it at the time (I was 2).